This seminar will be addressing how practice/business managers or compliance officers need to get their HIPAA house in order, as HIPAA is now fully enforced and the government is not using kid gloves anymore. 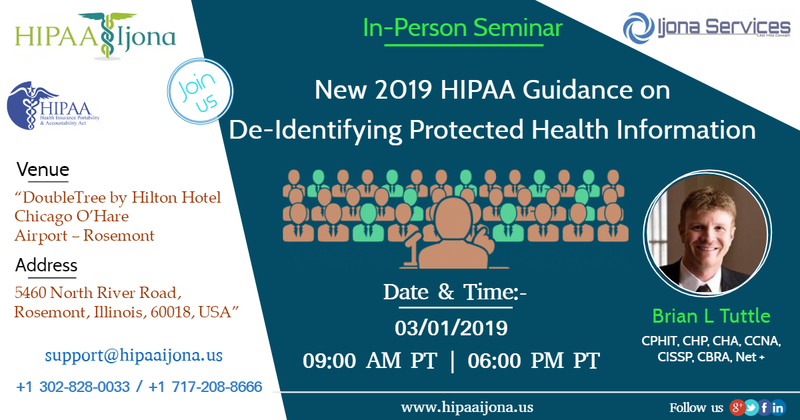 It will also address major 2019 changes taking place with the Health and Human Services regarding the enforcement of the HIPAA law as well as detailed discussions on the Phase 2 audit process and current events regarding HIPAA cases (both in courtrooms and from real-life Audits). Our instructor - Mr. Brian Tuttle has over 20 years of experience in working as Compliance auditor and has been an expert witness on multiple HIPAA cases. He`ll thoroughly explain on HOW and in WHAT scenarios patients can claim for cash remedies. More importantly, Brian will show you how to limit those risks by simply taking proactive steps and utilizing best practices. This Seminar will go over steps to take "To avoid an audit" or "To survive an audit". The instructor will thoroughly explain how patients can now get cash remedies for wrongful disclosures of private health information (which leads to more audits). It will also address major changes under the Omnibus Rule and any other applicable updates for 2019 and beyond. These day's trial attorney poses a higher risk than the Federal government! What factors might spurn a lawsuit or a HIPAA audit? - Are you doing these things? Any business associates privy to private health information and under the auspices of this law. MD's and other medical professionals.